You’re probably aware that going to the dentist isn’t most people’s idea of a pleasant experience, but a dental hygienist can help patients enjoy and even avoid a trip to the dentist. Dental hygienists are responsible for helping patients' keep their teeth and gums clean and disease free. The more thorough and effective the hygiene appointment, the more likely patient can steer clear of unpleasant dental procedure. Dental hygienists focus on preventive dental care. They apply fluoride, take x-rays, assisting dentist examining patients' teeth and gums, and check for mouth diseases. Gone are the days that dentists try to maintain one’s dental health by drill and fill. 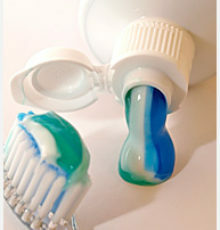 Preventive care and improve oral hygiene are the ways to ensure a set of strong and long-lasting teeth.